The last update to the Series 9 saw it kitted out with a 1600×900 non-touch screen and Ivy Bridge CPU but the latest update brings a name change along with Haswell chips (choice of Core i5/128GB SSD or i7/256GB SSD), a slight larger 15.6 inch full HD screen that now supports touch and a redesigned backlit keyboard which promises to be quieter. Other improvement include a brighter display at 300 nits (up from 250), full HDMI port, aluminum chassis and a nice touch for audio lovers, lossless audio support though its headphone jack or compatible speakers. With the newer Intel chip onboard quoted battery life is now up to 14 hours while the addition of the slightly larger display and touchscreen takes its weight up to 4 pounds and 0.63 inches thick compared to last years models 3.5 pounds and 0.58 inch thickness. No pricing or availability were revealed yet. a nice offering from samsung specially the 14 hours intrigue me and 2 kg is not to bad but it is not true that the last samsung series 9 update saw only the ivy bridge we also had a non touch screen full hd (as apposed to 1600 x 900) at least for the 13.3 unless you meant the 15.6 only. Guyz! FInally! 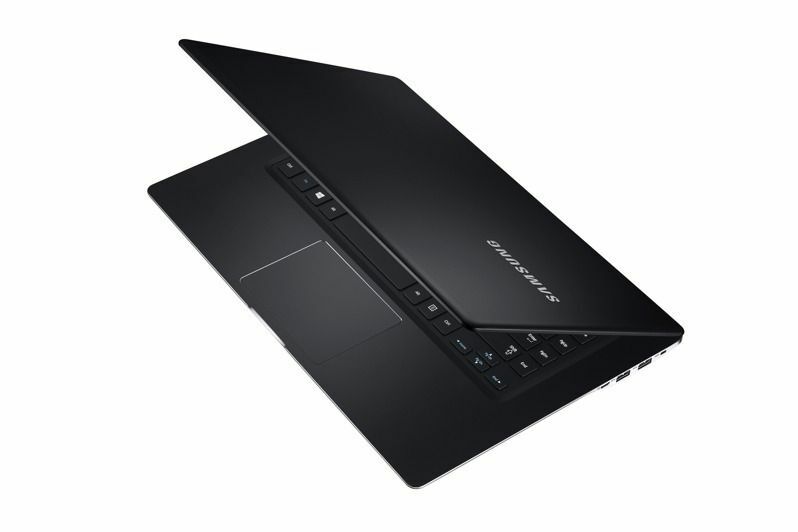 A thin, long lasting, SSD, 15.6…YES = 15.6 Inches Ultrabook! With FULL HD and A Touchscreen…. This is the one I will buy! Thank you UBNews but we’d like some more pics of it plz! I like its keyboard – it has navigation buttons column on the right. I hope it’ll have IPS/*PA/PLS display. Of course, it’d be better to have hardware touchpad left&right buttons.